Give voice to what's on your mind. Write a monologue. First, enjoy a night at the theatre and watch the 2018 Mouthful Monologue Festival - a collection of 18 powerful pieces written by writers in grades 8 through 12. Then, spend two afternoons with a professional artist learning how to write and present* a monologue of your own. 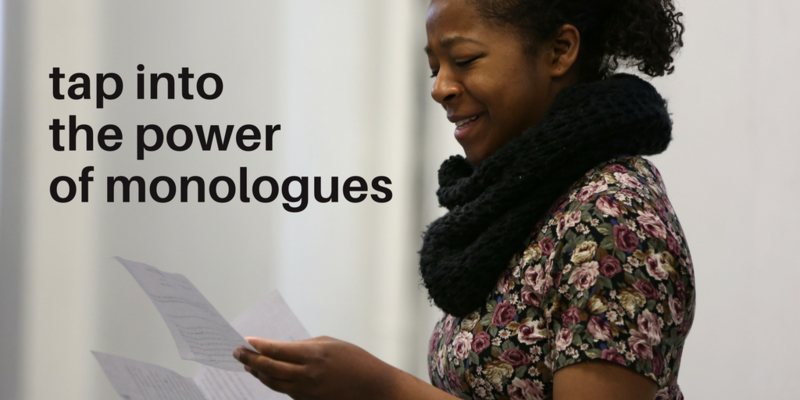 Finally, we’ll explore some additional ways you can use your monologue as a platform to help your voice be heard. *Don’t perform? Don’t sweat it - other presentation options will be provided! ​Check out the example below!